You are thinking to run a viral quiz website, but your capital budget doesn’t allow you to buy php viral scripts. Don’t upset, you can still have viral quiz website like www.nametests.com, www.vonvon.me. Here is my quick quite on how to create viral quiz website with a few dollar. What will you need to run WordPress viral quiz website? Hosting to host WordPress website. If you already have hosting, you don’t need to buy it. You can host WordPress website on your current hosting. If you don’t have hosting, I would like to recommend you to try with Namecheap hosting service. All of my viral websites are hosting on it. For your site, you don’t need to have expensive VPS hosting plan. You can upgrade later if you get high traffic. With this plan, you will also get free SSL certificate for one year. You can install WP quiz plug in from your WordPress website admin penal. It is free version. You can create personality quiz type and Trivia quiz type with WP Quiz free version. If you need advance quiz type (eg. Facebook quiz) you have to upgrade WP Quiz pro which will cost around 80 USD. But I think, basic version will be enough for your start up. This will be the hardest part as if you don’t have any idea, you cannot create quiz. 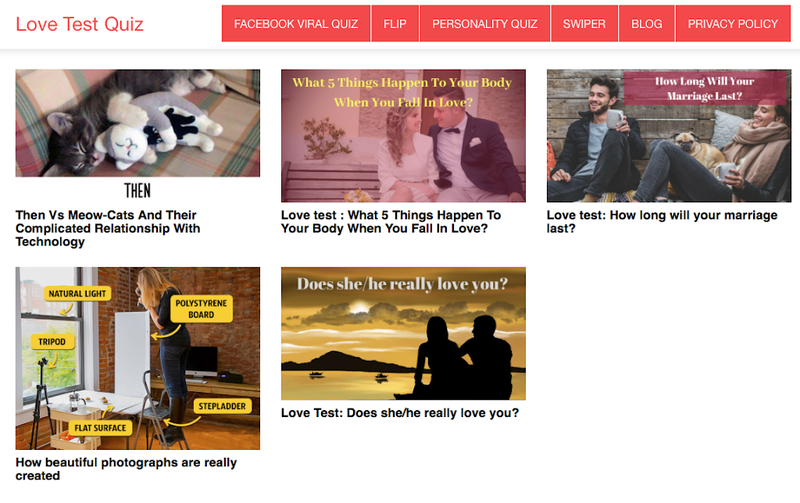 So you need to learn from other quiz websites. You can have viral quiz website with 3 USD per month. There is set up guides from hosting and WP quiz from their main site. It is not very difficult. But if you need help for set up the website, you can contact me through comment. I used to be very happy to seek out this net-site.I wanted to thanks in your time for this glorious learn!! I definitely enjoying each little little bit of it and I have you bookmarked to check out new stuff you weblog post.